Join me on Wednesday, January 16 at Denver School of the Arts (6:30-8:00 PM; free and open to all; no rsvp required) for an evening of wit and wisdom for parents (and anyone who loves and cares about a truculent teen). Fun and funny reminders that you are not alone; a look into the chemistry of the adolescent brain; take-home tips on how to help the whole family survive! Parents of teenagers need new role models. We live in hope. Bring your friends . . . but leave the kids at home! We’re going to talk about them, and we don’t want to let them in on our tactics. ...and here in Colorado, we've got one of the best. 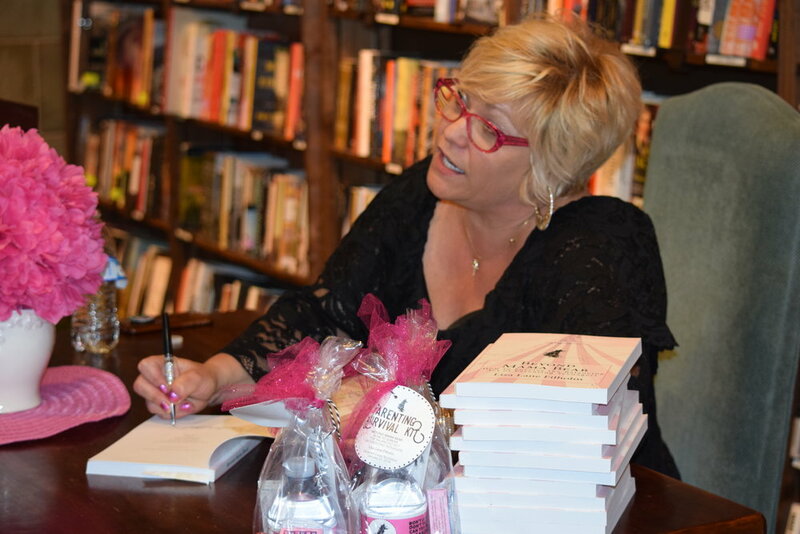 My endless thanks to The Tattered Cover Bookstore for supporting local authors, making my book a Staff Pick, and hosting my author signing last Sunday! Please, if you are in the Rocky Mountain region, support this local treasure. And they have a whole new batch of signed copies of BEYOND MAMA BEAR on the shelves in all locations. Go get you some! Thanks also to the family, friends, former students, teacher colleagues and new colleagues (plus the new friends who heard about it on the radio) who joined me. I am humbled and delighted by your support. We all shine on! Trails West PTO is a group of vibrant and vigilant parents. They reached out to me because they want to be prepared for adolescence. They want a little insight into all that lies ahead. I am so impressed by their proactive stance on parenting, and I know we are going to have a frank, funny, and fabulous conversation tonight! Lately, every parent I know feels especially overwhelmed by the never-ending demands of family life. Although February is partly to blame—and it’s almost over! Spring is coming!—it’s also just part of the job. It seems like a good time to re-visit this list (on page 22 of my book). If you’re clinging to the end of your rope, I hope you’ll be inspired to stay strong. At the very least (as always), I hope you’ll feel less alone. We really are in this together. It's a crazy, crappy time, but it's all perfectly normal . . . I'm not saying this actually happened to me. I'm not saying it didn't. 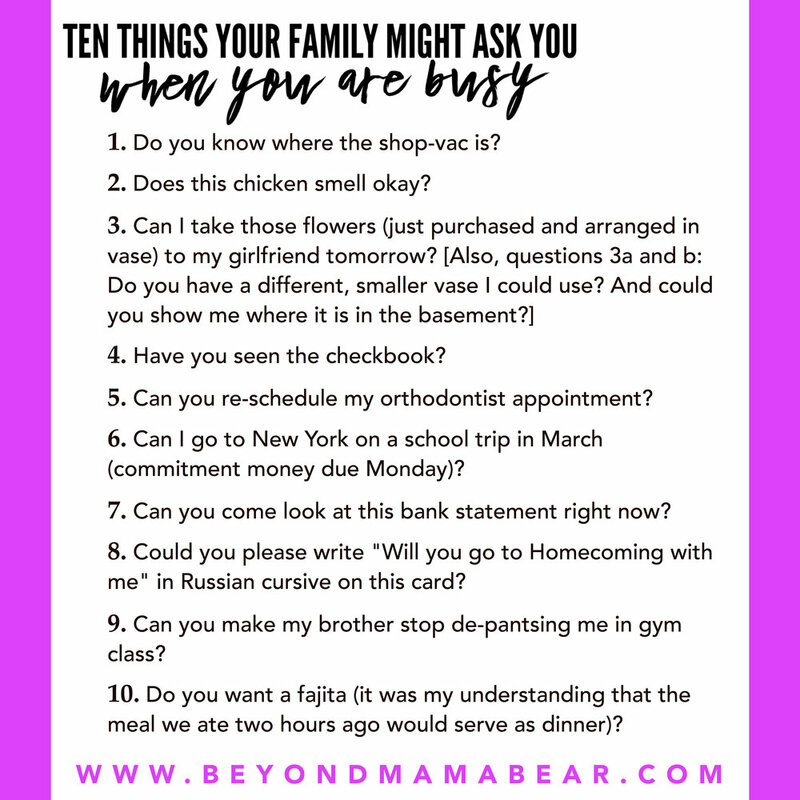 I'm just saying, if ever you have carved quiet time away to focus on a project (say, a fund-raiser for your kids' school or tracking down that funny charge on your debit card), your family might interrupt and ask you these things. I'm just saying. 1. Do you know where the shop-vac is? 2. Does this chicken smell okay? 4. Have you seen the checkbook? 5. Can you re-schedule my orthodontist appointment? 6. Can I go to New York on a school trip in March (commitment money due Monday)? 7. Can you come look at this bank statement right now? 8. Could you please write "Will you go to Homecoming with me" in Russian cursive on this card? 9. Can you make my brother stop de-pantsing me in gym class? 10. Do you want a fajita (it was my understanding that the meal we ate two hours ago would serve as dinner)? Let me be clear: I am privileged to say my main job is being wife and mother to this family. I don't really mind answering any of these questions or performing any of these services. I am honored, in fact, to do so. But when these ten queries came at me in one night, it was just a tiny reminder of why this job of ours is kind of insane. On February 13—and all the other days—I am grateful for the lady friends who help me survive the balancing act of raising teenagers. If you, too, rely on a tribe of strong, powerful land mermaids, join me (and the indomitable Leslie Knope) in celebrating our gal pals. Take a spa day! Have a party (with waffles)! And if your language of love is gifts, here are a few actual ideas, from my heart. None of them is sponsored (tragically); they’re just good ideas. One reason I started this project in the first place was to help parents of teenagers feel less alone. Share the love! 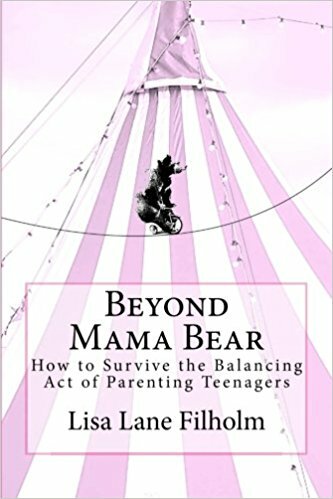 If you have a girlfriend whose life is being disrupted by teenagers (or almost-teenagers), Beyond Mama Bear is a gift of hope. And support. And laughter about our shared struggles, and real, practical advice for making the best of the adolescent years! Shop local and grab a signed copy at the Tattered Cover in the Denver metro, or find it on amazon.com! Here, from Emily McDowell Studio for Amy Poehler’s Smart Girls, is a most excellent list of ways to give thanks to our girlfriends. Share hers or write your own (and be sure to include all the ways your Galentine helps you be a better parent to your offspring)! Take a step back from the chaos of family life and laugh a little! Parents of teenagers (or almost-teenagers, or recent teenagers), laughter is often all we've got. The wit and wisdom of Beyond Mama Bear will remind you you’re not alone. In 2018, make a resolution to do something nice for yourselves and your tribe: book me for a fun (and funny) night out, with a real purpose! Two options below. Host an evening, adults-only event for your school or social club. You provide the refreshments and the space; I'll bring a short, comedic presentation (with real, take-home tips), signed copies of the book for attendees, and cocktail party games guaranteed to ignite fun and funny conversation amongst parents. Together, we can do this! Distinguish your fundraiser gala with real, community-building entertainment! Perfect for events that draw a crowd of middle or high school parents, my stand-up-style after-dinner speech is welcome comic relief between requisite speeches and fiscal reports. 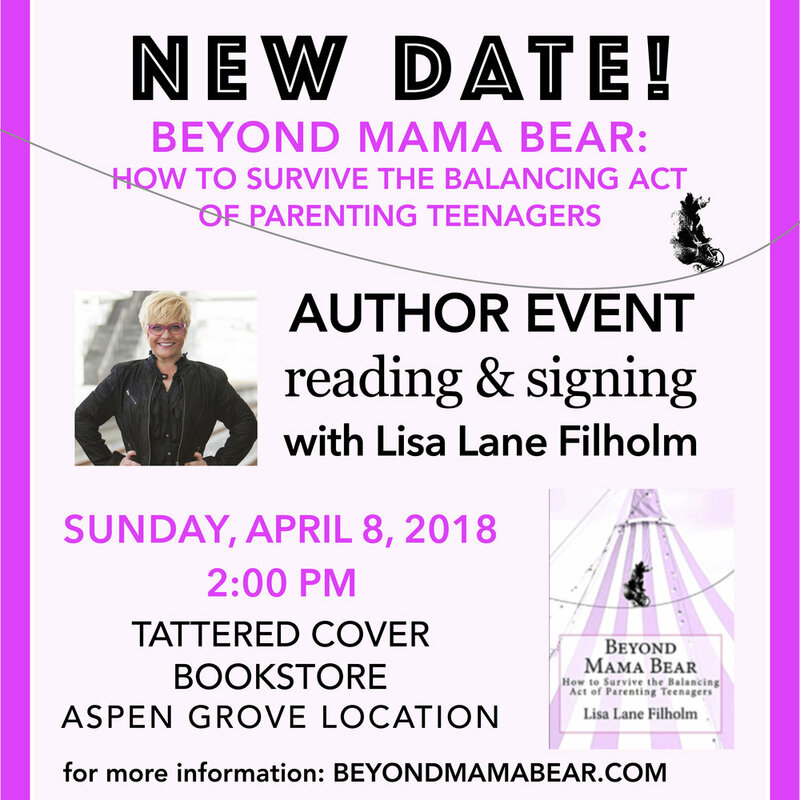 For a reasonable flat fee (which includes five signed copies of my book for raffle), guests will feel the sweet relief of knowing they're not alone, and they'll gain solid advice on how to survive the balancing act of raising adolescents. Add building community while raising money to your 2018 resolutions! Well, last Sunday's snow got the better of my book signing event, but our beloved local independent bookseller has already helped me re-schedule. 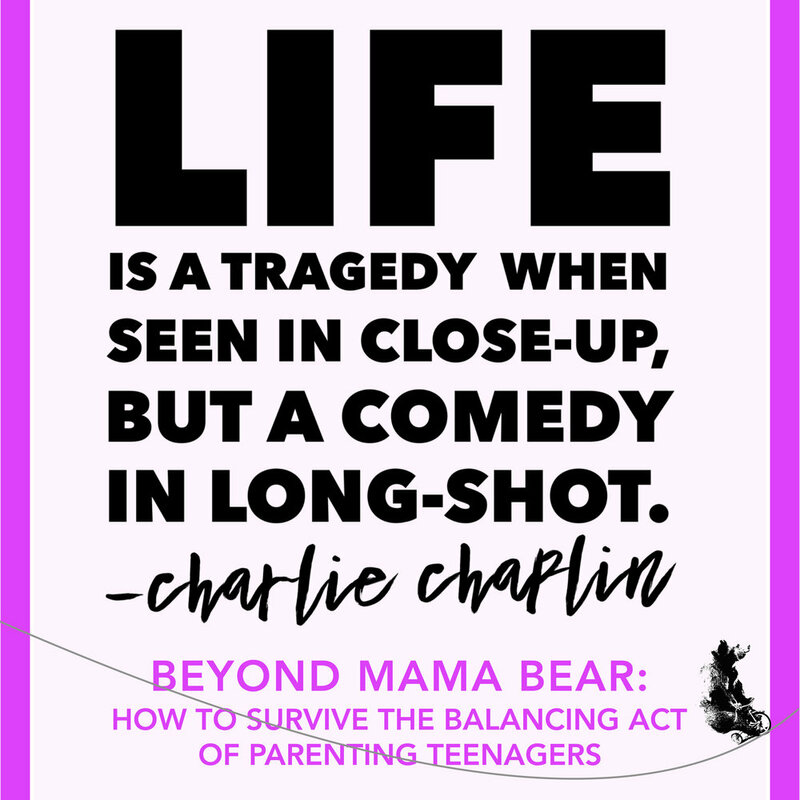 Please join me (and bring any frazzled friends who are struggling with teenagers) on Sunday, April 8, 2:00 PM at Tattered Cover. (Note location: Aspen Grove Store.) Thanks to my own personal village, there will be plenty of awesome swag along with autographed copies of my book available! And chocolate. SHARE THE LOVE: SHOP LOCAL! My goal this year is to listen more. To think a minute before I speak, at least sometimes. To slow down a bit, now and then, and to consider all I do not know and understand. Whatever your resolutions, hopes, or dreams for this new spin around the sun, I am grateful you're in my orbit. Thank you for your support! If you are an actual parent of a teenager (or soon-to-be teenager, or recent teenager), your year will likely bring change and turmoil, drama and conflict, but also exquisite moments of joy with your kid. I'll check in once in awhile, and I hope you'll reach out when you have questions, concerns, or celebrations regarding the adolescent people in your lives. I will remind you to laugh as often as possible, and to rely on your community. Thank you for being part of mine.